How do I go about interfacing the MCU, XBee, PC, and Motor Controllers. I recommend breaking your project into parts. 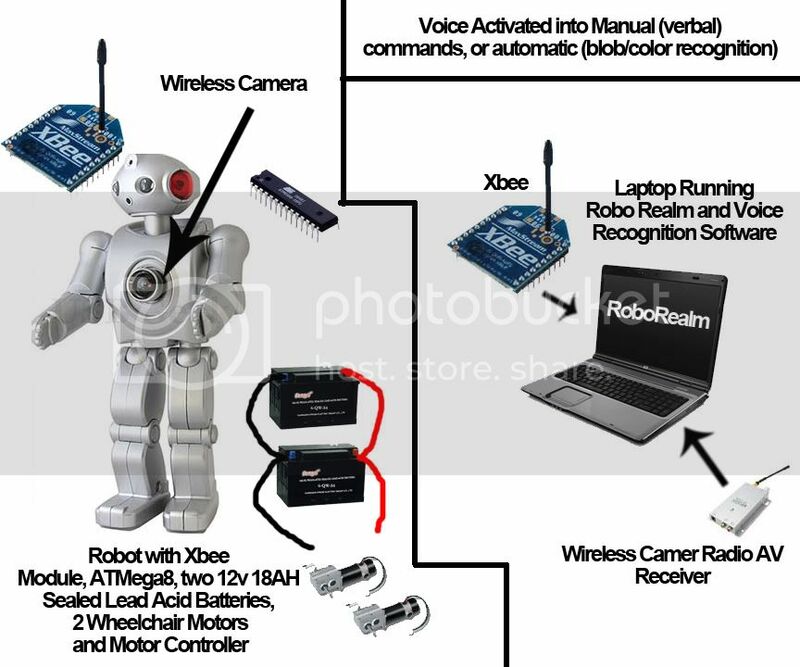 First just get the wireless camera to work with RoboRealm. After that is done, get the USB enabled XBee attached to your PC. Then do the uart tutorial for my $50 Robot to get it working with a second XBee and hyperterminal. After all that is working, combine it together.